Drug overdoses are the leading cause of injury-related death in the United States. In 2016, there were an estimated 64,000 drug overdoses, with the sharpest increase related to fentanyl and fentanyl analogs (synthetic opioids). Those caused more than 20,000 overdose deaths alone. A provider has many clinical reasons to prescribe opioids as part of the patient’s treatment plan. Patients who have chronic illnesses such as cancer, severe arthritis, sickle cell pain crisis, or even traumatic injuries or postoperative pain, are all routinely prescribed opioids. In many cases, however, we experience the reality that long-term opioid use for chronic pain can lead to abuse. It is important to follow strict procedures to ensure your patients are properly educated about the risks and benefits of opioids and the possibility of addiction. Does your office have set guidelines for prescribing and dispensing opioids? These guidelines should include a written policy that is compliant with state and federal laws. Many providers agree having a patient-specific approach to each case is vital. The Drug Enforcement Administration (DEA) reports 49 states have an operating Prescription Drug Monitoring Program (PDMP). This program was developed to promote public health by detecting misuse and abuse of controlled substances. The PDMP grants access to a statewide electronic database that houses controlled substance prescription history for individual patients. Fortunately, the state of Kentucky has the eKasper. This program can be accessed online or by contacting the Office of the Inspector General at (502) 564-2815 ext. 3333. As part of the roadmap to keeping patients safe and healthy, the provider must continue to keep detailed documentation that supports proper code assignments. In order to create efficient opioid management, your office should accurately track injuries and collect meaningful data. All of this support relies directly on proper provider documentation. Use and abuse is documented, use the code for abuse. Abuse and dependence is documented, assign code for dependence. Use, abuse and dependence are all three documented, assign the code for dependence. Use and dependence is documented, assign code for dependence. Providers must be educated that “use” and “abuse” should not be used interchangeably. 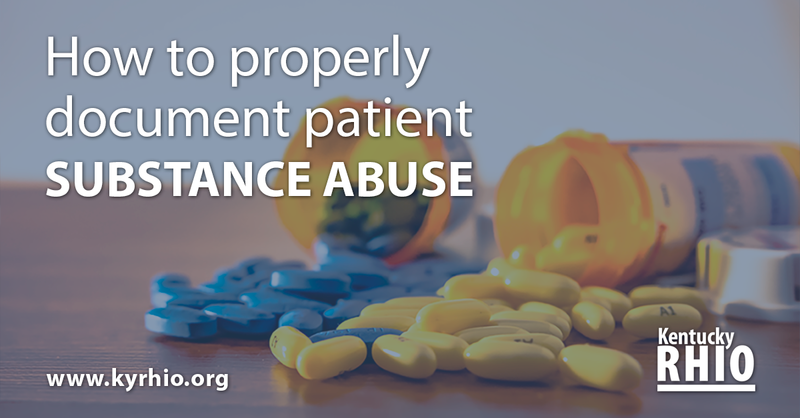 Do not use the words “use” and “abuse” if the patient is truly dependent on the drug. For more information on how to code for substance use and abuse, contact Lesley Newsome at l.newsome@krhio.org.